Let’s get the conversation started! Today’s article looks at how to take the next step to a BIM way of working. It’s a follow-up to the piece by Joanna Mulgrew, Operations Director for BuildingWorks, published in BIM Today in which she considers what size of business you need to be to even consider moving to BIM (Building Information Modelling). The conclusion was clear. Any building firm or developer wanting to streamline their processes is ‘big enough’. Essentially BIM is all about improving efficiency and sharing information, and is there for the taking by every forward-looking business. 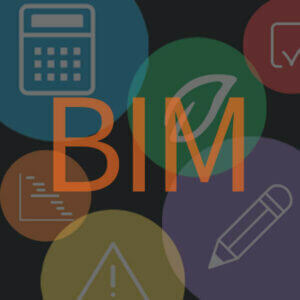 BIM is all about information modelling and management in a team environment. To get on board with this new way of working everyone needs to be receptive to the growth potential. It impacts the designers, estimators, quantity surveyors, administrators, contractors, sub-contractors, and the back office. Start sharing information now. In fact make a plan and communicate that plan across the business. It’s all about collaboration. It really needn’t be an upheaval. People tend to fight against what they don’t know. And there’s no reason to be sceptical about its merits either (although a healthy dose of cynicism about just the level of BIM you really need to adhere to on non-governmental jobs wouldn’t go amiss…). Dare we say, work with it or be left behind. Over and above the thought of change, there’s always the fear of going from paper, to CAD to BIM. Hey, we moved from sharp flint tools to mini diggers – you’ve got this! Better still if you adopt a ‘business as usual’ attitude then you’re in the best mind set. There will be processes in existence that already complement a collaborative working style, so you’re half way there! We’ve got some fantastic software for you to use that will make the transition feel straightforward. But we can’t programme your colleagues and associates! BIM can transform the way you work as an individual and an organisation. To really benefit from the approach, you should fully integrate your internal and external colleagues. Start by taking a look at where you are now and then determine where you want to be. BIM is about taking a collaborative, transparent approach, and championing that mind set can begin right now. Can you afford to streamline your processes? It depends on how you approach the move. A monthly subscription takes the sting out of the cost of changing your current software set-up and is highly cost-effective. The BuildingWorks modules, starting initially with Design and Estimate, are available without any upfront costs which helps cash flow no end. You can read more about the advantages of a subscription package here. And then there are the savings that an integrated system brings. BuildingWorks offers 7D BIM in the form of a 2D plan, 3D model, 4D time, 5D cost, 6D sustainability*, 7D health & safety*. And no one else is offering this level of integration in the UK. *As more modules are launched later in 2017 the software will extend to advanced project management and health and safety integrated within the BIM model. In an ideal world you’d make the technology available to all. This allows everyone to place their focus on the process rather than the tools. 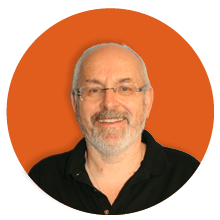 So think laptops and PCs and the best way to manage the outlay from a cash flow perspective. It will be worth it! We’re not talking volumes of manuals or lengthy, intense training programmes. With BuildingWorks you have the advantage of an amazing Help Desk and a whole host of support resources. There’s 1-2-1 training over the internet, how-to videos, FAQs, Instant Chat and more. Good support goes hand in hand with a good subscription package. And we should add, the BuildingWorks modules are really user-friendly so the training you’d need will be minimal. Perhaps find a willing client who would be happy to participate in a pilot project. Finally, the industry has also acknowledged just how good the BuildingWorks software platform is, with an innovation award! So if you’re thinking of moving to BIM you know who to move with! 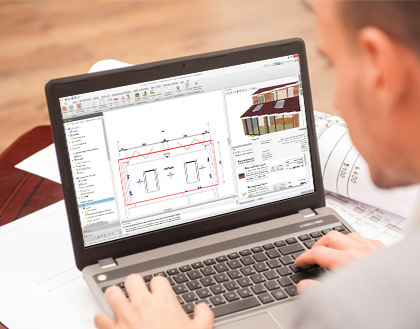 Tell us about your business and we can chat about how BuildingWorks BIM software can improve your building projects and how easy it is to get on board. Give us a call on 0117 916 7880.